Flappy Bird is the app everyone’s talking about but it’s not a complicated game that showcases a device’s capabilities, it’s a very simple and very addictive little game. 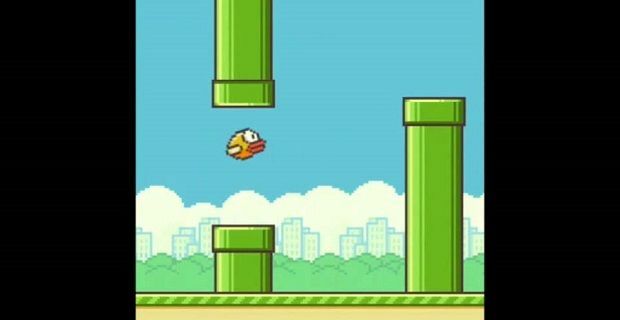 The App Store’s most popular free app is a game where all you do is propel a bird through a series of pipes. Unfortunately for those with a Flappy Bird addiction there doesn’t appear to be any tips or cheats for the game. The only one we’ve read is that you should remove any case from the device to help increase the screen’s sensitivity. Dong Nguyen, the game’s creator, has been advising people to take regular breaks and he’s also suggested that the game is easier on Android than iOS but let’s not throw our iOS devices away in an effort to get better at this sudden craze. What we’re not sure about is why the game is now suddenly reaching people when it’s been available on the App Store since May 2013. Maybe it’s just an annoying game at first before it takes over the player’s senses and takes hold of their lives.